is an international training institute for grassroots rural leaders from developing countries, mostly in Asia and Africa, and is located in Japan. ARI training focuses on sustainable agriculture through integrated organic farming techniques, community building, and servant leadership. It is community based and hands-on learning is emphasized in all areas. Working together we grow and share our own food. At the heart of the program is the concept of 'Foodlife‘– a term designed to recognize and value the inter-dependency between life and the food that sustains all life. Servant leadership, Foodlife, and Community Building are the key concepts that enable the ARI community to live by its motto "That We May Live Together"
American Friends of Asian Rural Institute supports ARI in many ways and You can help AFARI. 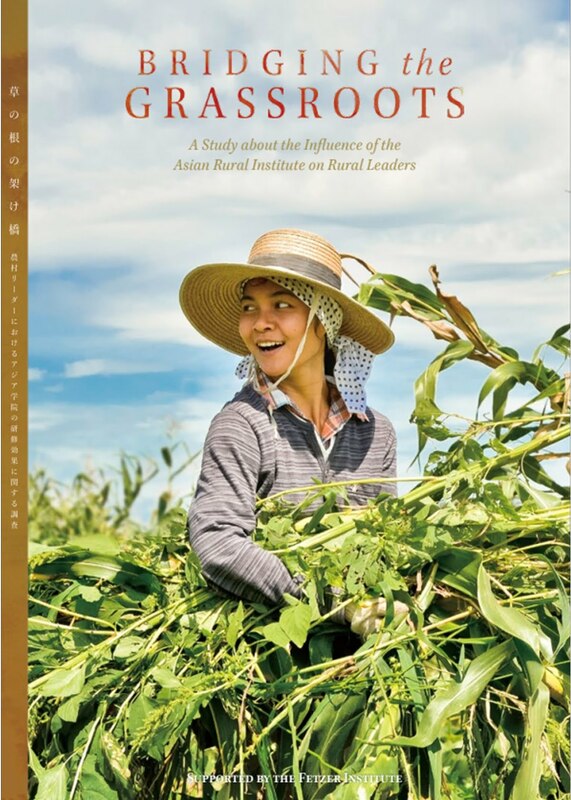 Rural Leaders, a new book published by ARI, depicts the work of ARI graduates worldwide. A series of compelling stories that share both the triumphs and struggles of graduates as they work with their communities is illustrated with full color photographs. To find out more about the book, or how you can get your copy, go to the Rural Leaders book page. Or with the Giving Assistant shopping program. St. Olaf College Volunteers at ARI made many videos of their Jan 2018 stay. See the videos here. Announcing a special AFARI scholarship fund, in honor of Rev. Toshihiro Takami, to fund an ARI participant each year. Running a Marathon for an ARI Participant to go to ARI!